Who Is At Fault When A Self-Driving Car Causes A Wreck? We are living in a time where technology is advancing quickly and in ways our great grandparents probably would not have predicted. As impressive as self-driving cars are, there are also questions about how safe they are. Human error is still the first place an injured victim should look. Even the best technology cannot protect the public from negligent human operators, if the human driver has ultimate control of the vehicle. If a driver fails to remain alert while at the wheel or misuses the technology, then the driver may be responsible for a crash. Sometimes technology simply fails. If a driverless vehicle is being operated properly and as designed but somehow fails, then the manufacturer may be the appropriate party to hold responsible for any injuries that the faulty machine caused. A government regulatory agency that permits self-driving vehicles to be tested on public roads may potentially be responsible for allowing experimental vehicle testing on public roadways if the testing exposes the public to unreasonable risk of harm. In some cases, the design of the vehicle is defective and it must be considered whether this is something that the manufacturer should have recognized. Self-driving vehicles raise new questions of liability. If you have been injured by a self-driving car and have questions give Oxner + Permar a call for a free consultation! I Fell On Someone Else’s Property, Who Is Responsible for My Medical Bills? 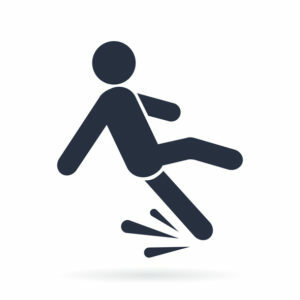 A common question I get when someone has a slip and fall accident at a store or someone else’s property is who is responsible for their injuries and medical bills. Many people believe that if they fall or are hurt on other another’s property the owner of the property is responsible for any injuries or medical bills. This is a misconception and these cases are typically very tough to win in North Carolina. The law is clear that owners of real property are not responsible for the safety of visitors. Rather, owners of real property only have a duty to ensure the property is reasonably safe and to tell visitors if there are any “latent defects” in the property, or defects that could not be found upon reasonable inspection. What that means is if a person steps in a hole that is “open and obvious” or slips in a pool of water that one can see if keeping a reasonable lookout, the property owner is not responsible. For example, if you were walking through a parking lot after a snowstorm and fell because it is slick, this would not be the fault of the property owner because they have no duty to warn that the snow makes the parking lot slick. However, if a person is walking down the stairs from his apartment and the stairs collapse because, unknown to him, the stairs are in need of repair, the property owner is probably responsible for any injuries. 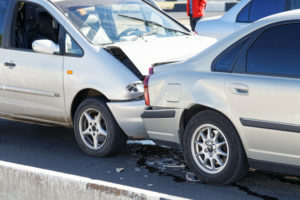 As if the law of liability was not tough enough, North Carolina is also one of five jurisdictions in the United States that still follows the doctrine of contributory negligence. Contributory negligence means that the person who slips and falls, regardless of fault by the property owner, was not using due care, or not keeping a reasonable lookout. So, let’s go back to the stairs. If the stairs are in need of repair, but it is obvious the stairs are not safe, a person might be blocked by his own contributory negligence by using the stairs and be at fault. The laws can be confusing. If you have been injured on someone else’s property and have questions concerning who’s at fault, give Oxner + Permar a call for a free consultation. What Should I Do After A Hit-and-Run Crash? Get medical attention. You are going to have to prove that you got injured in the crash. Simply saying you were hurt will not be good enough for the insurance company. Call your insurance company. You need to tell them you got into an accident, the accident was a hit-and-run, and that you intend to make a claim on your policy. Review your insurance policy. Find out what the claims process is and find out what the maximum policy coverage is for uninsured motorist claims because they will not pay more than the maximum limit. Proceed with an uninsured motorist claim. Your insurance company takes the place of the other driver whose insurance should actually be paying. As terrible as a hit-and-run crash can be, there are steps you can and should take that could possibly lead to the arrest of the driver, or at the very least help you have a better outcome. If you have been the victim of a hit-and-run and have any questions, don’t hesitate to give Oxner + Permar a call for a free consultation. What Can I Share On Social Media During My Case? Social media is a great way to connect with our family and friends, and keep in touch with those we care about. But unfortunately we live in the digital age where the pictures and messages we post online can be used against us by defense attorneys. We often post pictures, videos, or statuses without thinking how it could be interpreted by others. Something as simple as walking our dog, grocery shopping, or holding a baby could be taken out of context and used against you. 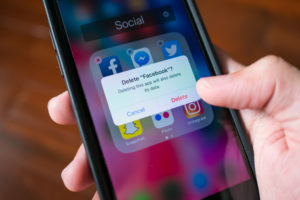 Because of the nature of social media, defense attorneys and insurance companies have started investigating and auditing social media accounts. As a result, it is very important to not post pictures or comments about your incident on social media or any online website. This type of information can and will be used against you during your case. This may not seem fair or ethical since it is your personal information, but because you freely shared it online anyone has access to it. Defense attorneys are looking for any information they can find out about you, even if your profile is set to private. Because of this, I always advise my clients to deactivate all of their accounts while their case is open. Be careful with your social media accounts and don’t volunteer information that could compromise your case. If you have any questions about your case, contact Oxner + Permar for a free consultation. What Should I Say to the Insurance Adjuster After My Accident? I speak with clients all the time who have received calls from the insurance adjuster after their accident. They have already given a recorded statement about their accident and injuries before they have called us. These recorded statements are hazardous because the adjuster, who has done these interviews hundreds of times knows just what questions to ask, is always looking for a reason to deny coverage or get you to agree to something that may not be true, or to something that is even damaging to your case. What you say in an unguarded moment may literally turn a good case into a denial. My message to anyone who has been injured by the negligence of another is to consult a lawyer before speaking to an insurance adjuster. 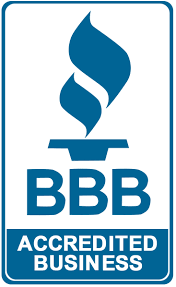 We know what questions are going to be asked and can prepare you for these conversations and help you avoid saying anything that could potentially undermine your claim. 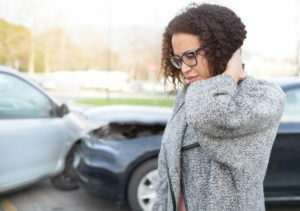 Regardless of what kind of injury you have sustained, I recommend declining to speak with the adjuster until you have spoken with an attorney who has helped you go over the questions that will be asked. Don’t risk your claim being denied because of what you said in a vulnerable moment. If you have been injured in an accident give Oxner + Permar a call for a free consultation before you speak with an adjuster.